AS you make your way to the swearing-in ceremony today, you might be poised for an appointment to a Cabinet position – either as Minister or Minister of State. If you do get onto that list, first and foremost, do NOT do things in the usual manner – so the first thing you should do is AVOID thanksgiving parties. By all means, do go ahead and hold prayers at your church or mosque of choice, but don’t do the reception. Consider all the angry comments that have been loudly made these last six months alone about service delivery and the need for efficiency, and resist the urge to throw a lavish set of parties (one at your Kampala home for friends and relatives, and another in the village constituency for ‘voters’). Instead, compute the cost of those parties, and divert that money towards something nobly long-lasting like equipment or furniture and fittings at your local schools or hospitals. An average party could cost up to thirty million shillings (yes – Ushs30million!). THAT sum should not be spent on perishables such as scholastic materials and medicines. Instead, make a lasting mark that will even come in handy when you are next heading out on the campaign trail. Then, after announcing to all and sundry that you consciously and deliberately dropped the idea of throwing a one-day fete for the option of filling schools and hospitals with life-changing, long-lasting equipment, bid them farewell and head off into a retreat. The retreat is with the officials of your Ministry – whether you’re just joining a new one or you’ve been re-appointed to the one you were in before. Take them into an inexpensive location and spend serious thinking time establishing three things from the last term of office: 1. What has gone well 2. What could have been done better 3. What did you (the ministry officials) or we (if you were a Minister before) learn. On the way back from the retreat, your first salary should have landed onto your account. I strongly suspect that most Ugandans would appreciate it if you spent a little of that money and invested it in learning learning about the field in which you have been appointed Minister. Don’t apply for a university degree or anything so drastic (yet); buy a couple of books and take a short course from a very good set of professionals. It should be helpful if a member of cabinet is given advice and guidance by the most proficient people in the field whose national policy they are going to take charge of. Thereafter, make it firmly clear that you will NOT make any public statement for at lest a month. That will give you enough time to study the situation in your ministry and confirm that things are actually as they might seem or should be. During that month you will identify the right staff to work with and establish the procedures that will ensure you are actually as efficient as Ugandans want the government to be. From spelling mistakes through time keeping to the big things like handling procurement sensibly and without corruption or the wastage of tax payers money, you will spend the first month laying down terms of engagement and making them all sign the dotted line. Do it right and your administrative experts will ensure that you never get to any event late, therefore avoiding that murmuring audiences do when they insult guests of honour arriving late at events. Plus, your speech writers will be subject experts who ensure everything you say is on point, and not so verbose that you sound like a character out of a movie made by people who think that African politicians are mostly variants of Idi Amin at his most comical. That first month is crucial because the whole of Uganda will be watching you closely and some of them might be spitting anger and vitriol just because you have been appointed to a position of authority instead of them, we of little faith. Use that first month wisely to convince us that you, as an individual, will make a serious difference on the Board of National leadership called the Cabinet. Use that first month carefully to set the expectations amongst your staff that Ugandans have of you, and of this government. And recite to yourself every day the mantra against which you have been appointed to that job: For God and My Country. TODAY we go out to vote – and not just for the position of President. Tomorrow (even tonight – Thursday) we start counting those votes. By Sunday we will know who won and be celebrating victory or mourning loss. On Monday we should get back to work, and to existing side by side with our different political beliefs – the way we do with our different religious beliefs. That analogy between Political Party ideology and Religion is always ideal. We live side by side with our different religious beliefs, praying at different times on different days in different ways and we make it work so well that sometimes we intermarry. Similarly, we should live side by side with our different political ideologies, meeting at different times, in different ways, and making it work so well that we can work together making progress happen for the entire country. Perhaps it works better in religion than in politics because we pray and worship every day or at least weekly, while our political activity comes round every so many years? If we were more deeply political on a more regular basis, then perhaps we would be more relaxed and understanding of what this ‘politics’ actually means. On Saint Janani Luwum day I relaxed enough to pay attention to a personal chore a group of friends had given me – to proofread a political manifesto we drafted after our WhatsApp group had held some heated political discussions. We are just a group of pals who grew up together doing what boys do, and recently one evening challenged ourselves to be more politically conscious, resulting in an impressive twenty-page document. As I finished reading its final draft I was downcast that all of us had spent months talking about the Presidency rather than Leadership – because we could all make good national leaders at the different levels we will be voting today and in coming weeks. Leadership does not mean Presidency, even if the Presidency is at the apex of Leadership in a country like Uganda. 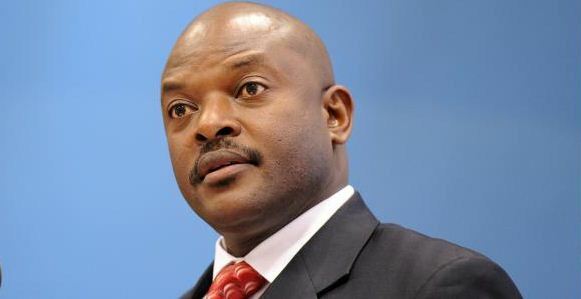 And by the way, Leadership is NOT Power; this is a word that Abed Bwanika, Amama Mbabazi and Kiiza Besigye, and various media commentators, have used repeatedly during recent months – but I am happy that my own candidate markedly avoids the word. Today we all go to vote not just for the Presidency, but for Leadership – under the Political Party or Group we believe presents the best promise and premise for a stable future for this country. See, the Political Party that wins it is not just the one that wins the seat of President; a President with a Parliamentary majority, for instance, gets more done easier and quicker – as even the United States showed us with the reverse when they “shut down government” for a while not too long ago. Speaking of getting things done, it is farcical that in all these months we have talked about service delivery and paid little media attention to leadership in the districts where we know the work on the ground literally gets done. See, we are electing into leadership – not power – the leaders under whom we will work, thrive and prosper; the leaders who will work on the policies that will enable us to work, to thrive and to prosper. The leaders themselves do not build our businesses or our homes, but they must build and implement policies under which we – Ugandans – must do these things. Recently I have felt that the rhetoric, posturing and deceit of this political campaign period – which feels like it has run five whole years – might have blinded some of us to realities around us – echoed by candidate Yoweri Museveni at the debate last Saturday. Today, we are voting in leaders whose work should be prescribed in a manifesto – a public document that constitutes a series of pledges and commitments. Every day of the next five years we should be calling the attention of those leaders back to that manifesto because it is the public contract to which they should be held. Every day of the next five years, if that manifesto is ignored then the party in question imperils its chances of success at the next election. To achieve the goals in that manifesto, however, the party must have the necessary numbers in the caucuses where the lobbying is done, in the full legislature where the laws are enacted, and in the districts where the work is implemented. For me, that political party is the NRM, headed by Yoweri Kaguta Museveni, who is unquestionably the most capable (and by far the most likeable) of the eight potential Presidents arrayed before us. Because I am voting in an entire swathe of leaders under the NRM – possibly more than 600,000 including councillors – on the strength of a manifesto with clear targets (which, in this case, should already be accommodated in this year’s budget – due for reading in four months’ time and in formulation as per the process cycle since August last year). I am also voting for change in the way we do certain things because the system and manifesto I am supporting gives me leeway to make a personal contribution to changing things in Uganda for the better. I am voting NRM not to reward anyone for work already done – but because if those 600,000 leaders and I follow that manifesto, then we will get a lot more done – for everybody – especially if we are vigilant citizens all round. The voters of northern Uganda and Kampala can testify to this quite easily – judging from their voting patterns from 2001 through 2006 and 2011, as their protest at the ballot over war and infrastructure (respectively) transformed into heavy support because of the dramatic change and response that we see today. #SteadyProgress. And I am voting NRM because I have not been given a promise by the other parties around what they will or can do – and believe me, I’ve listened to them. For instance, anyone can complain about the negatives in Uganda today – as indeed we should – but that is not reason enough for me to vote…for the loudest complainant. I am voting NRM because I like the ideology, believe in it and believe we can live it even when some people do make mistakes or, linking back to religion, fall short of the glory they should uphold. Because as a country we have made progress under this same NRM, and I know we can continue this progress. Provided WE stick to that ideology WE CAN make good. We CAN make Uganda greater than it already IS. WHEN you spend a few days sequestered with hundreds of people talking repeatedly about innovation, technology and education you tend to develop ideas along those lines. My head was full of them as we emerged from a summit called ‘Innovation Africa’ and prepared to embark on Independence week. Because there was a weekend punctuation between the two, I was reclaimed by the children and eventually found myself inside bookshops that insist on selling toys. I can understand the business imperative that makes them stock both products, so I have sympathised with them for years in spite of the irritation – I think it is unfair to distract these young ones with toys when we try to immerse them into a world of literary appreciation in order to stimulate their imaginative powers. But there I was, trying to herd attention away from playing to reading, when I noticed one plaything priced at five million shillings (actually, it was Ushs4,999,000). My next venture should be making these! I was a little panicked because one of the children was paying more attention to this item than I was comfortable with – and if my bankers and a few other stakeholders had spotted us at that point I would have had to hold difficult conversations. On closer inspection, the Ushs5million plaything was a creation of painted plastic or fibreglass, with a few lights here, buttons, and a motor that made it move to and fro. I know a guy in Kampala who once did a fibreglass fabrication for me, and estimated the total cost here to be less than one million shillings. The lights and wiring involved couldn’t cost more than a couple of hundred thousand, and neither would the paint. So I figure that if I got an artist and a technician together I could reap handsomely from toys – and the shop attendant confirmed to me that people buy these things, imported from China, quite frequently. I looked around a bit more at hundreds of other items – all imported – including a little children’s bookshelf painted in lively colours and priced about eight times higher than a locally made one sold in most carpentries in Kampala. The price of that bookshelf was even confusing because of the cheapness of the materials used to manufacture it – especially compared to the hardwood ones we make locally that are priced so low. There was also a set of toys made of wooden blocks, each painted with numbers and letters and going for just over one hundred thousand shillings. Believe it or not, every carpentry workshop in this country generates enough waste (paint inclusive) to be converted into such toys saleable at sensibly profitable amounts to a very willing foreign-toy-purchasing public. Plus, if we start this with toys then we are doing it at a point where the next generation interacts quite closely, and the true meaning of independence will sink in better in their minds. What do we need in order to do this? Prosperity and Independence – the two go hand in hand, if we strive at them, apparently. 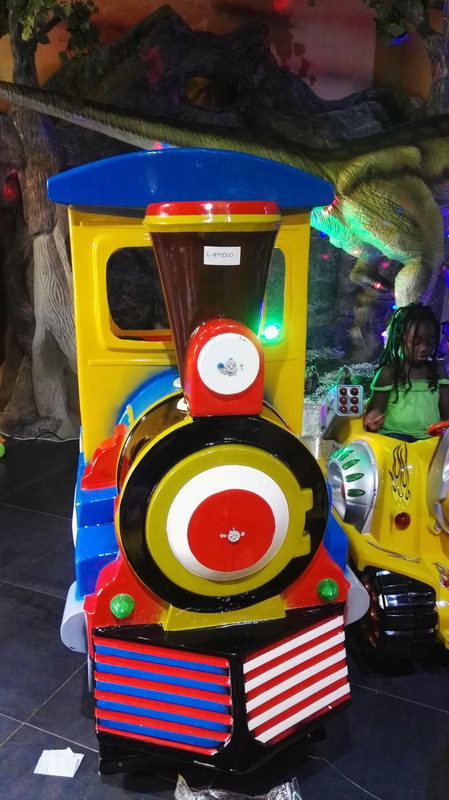 Importing toys from China enriches only a few of us here in Uganda, namely those who import those toys – but MANUFACTURING those toys here in Uganda will enrich many, and it IS easy.